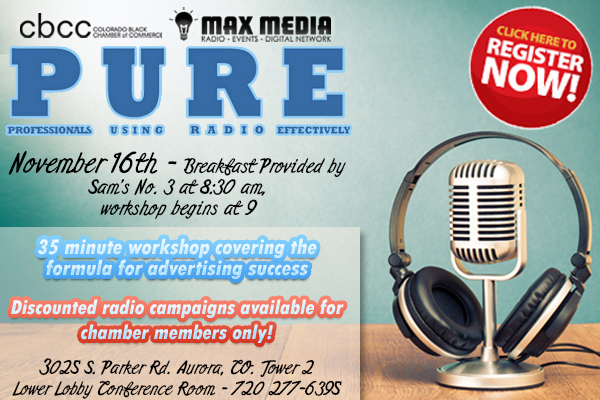 The CBCC (Colorado Black Chamber of Commerce) and Max Media Denver present PURE (Professional’s Using Radio Effectively), a free 35-minute workshop covering the formula for advertising success. When: Wednesday, November 16th at 8:30 am (Breakfast Provided by Sam’s No. 3). Workshop begins at 9:00 am.